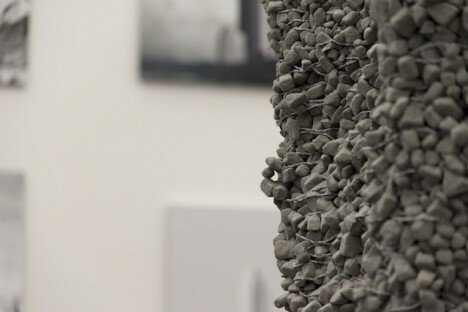 Reinventing one of the world’s most ubiquitous building materials, this concrete alternative developed at MIT can be 3D-printed then disassembled without wasting unnecessary energy or creating useless debris. 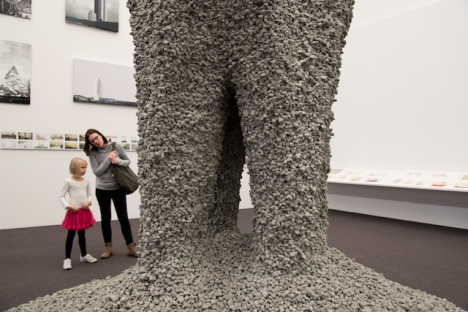 Imagine the possibilities temporary concrete architecture that is easy to deconstruct with zero material loss. 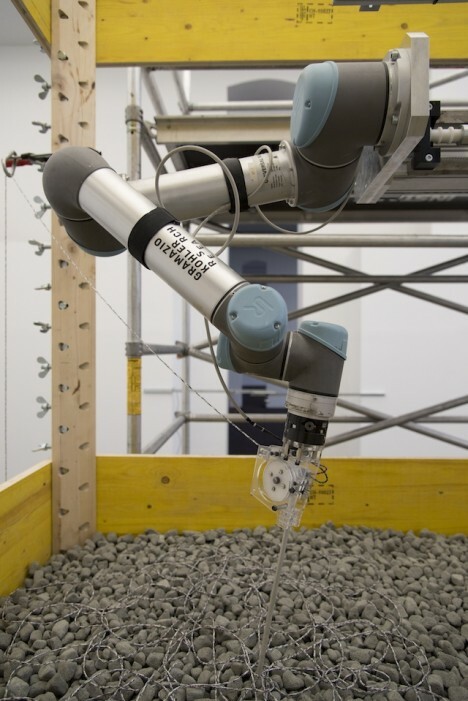 Rock Print effectively shoves rocks into position, binding them with computer-controlled string. 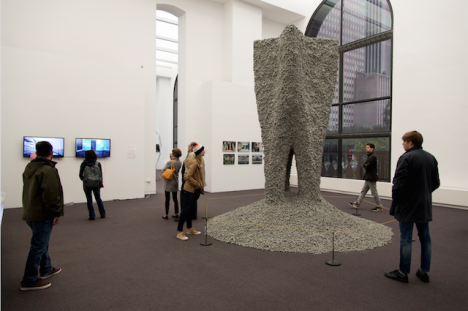 The result in this demonstration at the Chicago Architecture Biennial is a rigid 13-foot column that can be cleanly unraveled into its constituent parts. 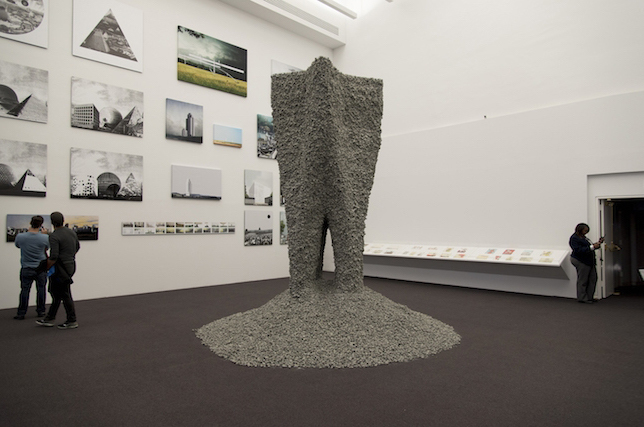 A product of the Self-Assembly Lab at the Massachusetts Institute of Technology, this approach suggests a new way to think about concrete, a material that is typically cheap and easy to use in construction but expensive and wasteful when it comes to demolition. Effectively any shape is possible thanks to the 3D printing process, while the results are strong and durable, relying on the physics of jamming and collective strength of composited stones. The reversibility of the process makes this a far more eco-friendly way to build rigid structures from durable materials that still dismantle on demand.